In 1959, Moss Moore, a wiry fifty year old bachelor farmer was found murdered in rural Kerry. After a ten-day search, his badly beaten body was recovered hidden in a ravine twenty yards from his cottage. The community didn’t look far for a suspect. Moore’s nearest neighbour Dan Foley, a tall burly ex-IRA fighter, was engaged in a long running and bitter dispute over the positioning of a fence. The friendship between the two men had by this stage disintegrated into a very bitter and public dispute with a court date set for the following month. The police never prosecuted Foley. His family blame the police for not capturing the ‘real’ murderer. The community blame the police for not catching Foley. Angry at no conviction, some locals took the law into their own hands, a boycott of Foley was organised and he was forced to live on the very margins of the mountain community. Twice rifles were fired on his home and once it was dynamited. Foley died before his time five years later, not far from where Moss Moore’s body was recovered. 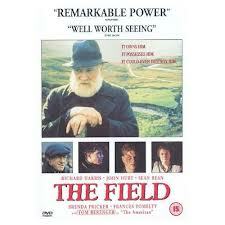 After his death, John B Keane wrote the play The Field, basing his central character “the Bull McCabe” on Foley. But Foley’s only living relatives now claim there is one major difference between fact and fiction: Dan Foley was not a murderer. This entry was posted on October 1, 2012, 12:15 pm and is filed under News, RTE Documentary On One. You can follow any responses to this entry through RSS 2.0. You can leave a response, or trackback from your own site.